Brewers take advantage of… the sun? > The score might not indicate it, but today was hard-fought win for the Brewers. They defeated the Nationals, 6-2, but a few of the Brewers’ key hits came courtesy of Nats outfielders losing fly balls in the sun. 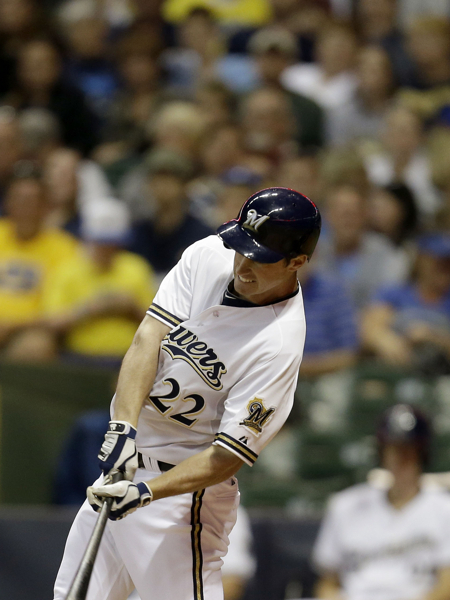 The Brewers got on the board against Chien-Ming Wang in the fourth inning. Ryan Braun got a gift double after center fielder Bryce Harper misplayed a ball in the sun, then Jonathan Lucroy took advantage with an RBI single three batters later. Logan Schafer followed that up with an RBI double. 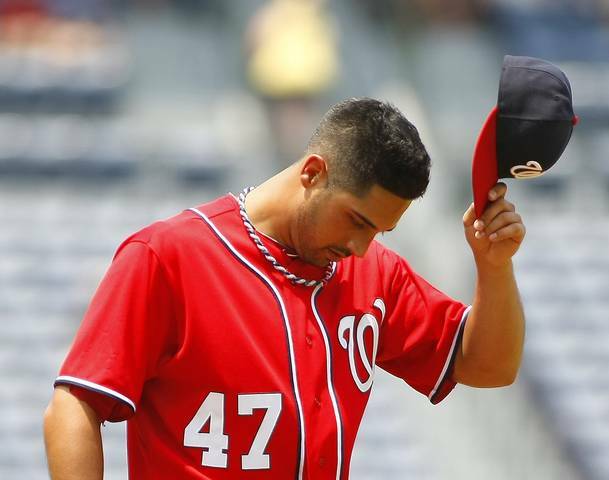 But the Nats tied it up in the fifth inning against Yovani Gallardo. Yo got himself into trouble quickly after walking Ian Desmond and allowing a double to Danny Espinosa. Chad Tracy put up an incredible at-bat against him, which resulted in an RBI single. Jayson Werth tied the game with a sacrifice fly. The Brewers took the lead again in the seventh on Lucroy’s second RBI single. Carlos Gomez followed that with the second gift hit of the day- an RBI single thanks to the right fielder Werth giving up on the fly ball in the sun. > Schafer should be getting more playing time. He’s shown that he can hit when given the chance, with a clutch RBI triple against the Mets last week, and two more hits today. 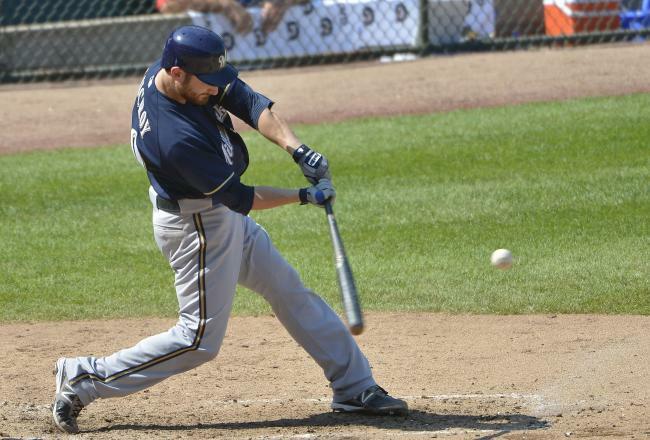 But the way Schafer is playing gives the Brewers a world of options for 2013. It allows them to get rid of the left-handed hitting Nyjer Morgan- who isn’t getting playing time anyway- since Schafer is also a lefty. And, if Gomez winds up not working out as the everyday center fielder, we’ve got Schafer to fall back on. > If Harper wins the Rookie of the Year Award, I’m going to explode. > Today was Schafer’s first big league start. > Ken Rosenthal brought up the point that the Brewers spent about $180 million less on Aramis Ramirez than the Tigers paid Prince Fielder, but have gotten very similar production. So where are the “Braun is going to be pitched to differently” haters now? >The Cardinals defeated the Cubs again. They now start a three-game series against the Astros, then their easy nine-game stretch ends (not to mention the Brewers’ tough 10-game stretch will end as well). As far as the teams behind the Brewers in the Wild Card race, the Dodgers and Pirates both won, while the Phillies lost. > Braun went 2-for-3 to bring his average up to .317. If he manages to get it into the mid-.320’s, I have no idea how you don’t give him the MVP- his other numbers are already so much better than the rest of the MVP candidates. > The bullpen was lights-out. Brandon Kintzler, Francisco Rodriguez, Jim Henderson, Jose Veras, and John Axford combined for four scoreless innings with six strikeouts. > Marco Estrada, tomorrow’s starter, is 4-1 with a 1.23 ERA over his last six starts. Prior to that stretch, he didn’t have a win all year. > The Brewers have now won Gallardo’s last 11 starts (although Yo himself didn’t pick up the win today). > Ramirez, who hit two doubles today, now has 49 for the season. That’s four away from breaking Lyle Overbay’s franchise record of 53. The Crew will have their hands full with the Wisconsin native Zimmermann, who has already defeated them once this year. Estrada, the former National, is the midst of his hot streak, but let’s hope he’s ready for his noon start this time. > OK, the Cardinals can do what they want in their clubhouse, but this is going a little far. > So apparently Eric Chavez of the Yankees doesn’t approve of celebrating after home runs. > The Brewers have seemed invincible recently, but I suppose a good offense and a Cy Young contender can put that to a halt quickly. The Brewers lost to the Nationals today, 10-4, in a game they let get away too early. Wily Peralta had a very short start- he went just 2 2/3 innings while giving up three runs on five hits. He walked four and struck out four. But you could just tell it was going to be a short outing from the get-go; despite not giving up a run in the first two innings, he needed 42 pitches to get through them. He left the game with 73 pitches after having recorded just two outs in the third. Peralta gave up consecutive RBI hits to Bryce Harper, Adam LaRoche, and Ian Desmond in the third before being taken out in exchange for Livan Hernandez. But Hernandez got completely murdered by his former team in the fourth, allowing three-run homers to both Ryan Zimmerman and Desmond. All the while the Brewers’ offense was being silenced by Gio Gonzalez, who became the first 20-game winner of 2012. > Ryan Braun is reportedly dealing with some groin issues after a “rough slide” into home last night. He’s going to play through them for the stretch run, however. Braun went 1-for-3 with an RBI today. > MLB Trade Rumors has continued to mention Alex Gonzalez’s vesting option for 2013 that would have come into play had he achieved 525 plate appearances this season. But, since he went down in May, there’s almost no chance he returns to the Brewers next year. > The Cardinals defeated the Cubs in extra innings, so the Brewers fall to 2.5 games back in the Wild Card race for the time being. However, the Phillies, Dodgers, and Pirates all lost, so the teams close behind the Brewers will stay pat as well. > Yorvit Torrealba made his Brewers debut today, replacing Martin Maldonado in the fifth inning. But he went 0-for-3 with two strikeouts. > Taylor Green hit his third career homer in the ninth inning. > Peralta had allowed just one extra-base hit in his first three big league starts coming into today. But, he gave up three XBH’s in a row in that rough third inning. Gallardo’s last loss was against the Nationals back in late July, and his record fell to 8-8 after that. Since then, though, Gallardo has been untouchable, going 8-0 with a 2.69 ERA in 10 starts following that outing. 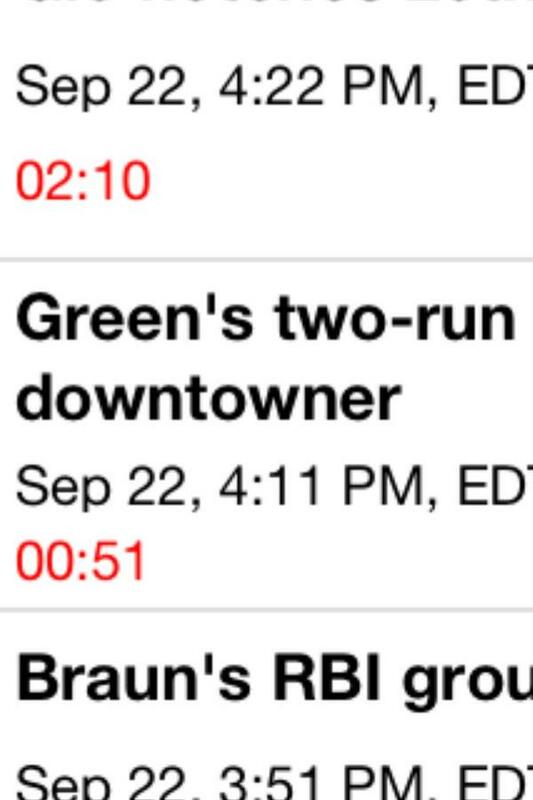 > I don’t think I’ve ever seen MLB refer to a home run as a “downtowner” in a highlight label.